Either of the cranial (anterior) limbs. The distance covered in a cycle of movement of limbs, from the initial contact with the ground of a particular limb to the next point of contact of the same limb. A phase of a gait when all four feet are off the ground. Also known as a period of suspension. 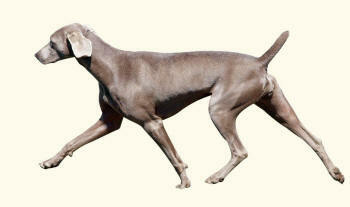 The trotting movement in which the animal leaves the ground during each stride. This thereby increases the amount of ground that can be covered with a minimum increase in expenditure of energy when compared to the supported trot. 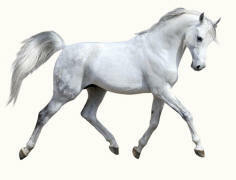 The trotting gait in which at least one foot is always on the ground. The length of stride limits the amount of ground that can be covered because there are no suspension phases.